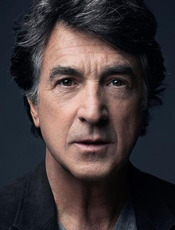 From Wikipedia, the free encyclopedia François Cluzet (born 21 September 1955) is a French film and theatre actor, best known in the English-speaking world for starring in the 2006 French film "Tell No One", based on the novel of the same name by the American author Harlan Coben. He won the 2007 César Award for Best Actor for his role as Dr Alexander Beck in the film. Description above from the Wikipedia article François Cluzet, licensed under CC-BY-SA, full list of contributors on Wikipedia.